At Canyon View Ranch we've seen it all and solved it all! 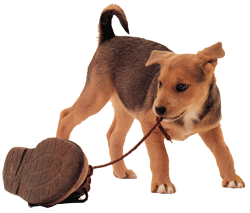 Basic obedience training is the foundation for solving a wide range of behavioral issues. Our trainers make learning fun and utilize positive reinforcement - with lots of praise, love and enthusiasm - to build confidence, and enhance your dog's bond with you. Learning that will last a lifetime! Your dog will learn to sit, lie down, stay, heel, and come when called - and you'll learn how to apply these commands in many day-to-day situations using both verbal commands as well as hand signals. We'll also help you crack some of those annoying habits your dog may have: digging, begging, pulling on the leash, housebreaking, jumping on people, incessant barking, and aggression issues. To correct these problem behaviors, we'll teach your dog to understand commands such as "off", "quiet", "leave it", "sit", "stay", and "heel." Your dog will receive two sessions of focused obedience training each day. Your participation is important in your dog's training and we ask that you come to the Ranch for private lessons several times during his or her stay. Lessons are included in fees for our four-week programs. Using both indoor and outdoor training areas designed to match your home environment, we can teach your dog everything - from navigating a kitchen without snatching food off the counter, to coming immediately when called even with the distraction of being around lots of other dogs. We offer specialized puppy consultations to help you and your little friend get started. It's never too early to establish some basic house rules. And to create good habits before bad ones begin. Your dog can be trained on a per-night basis while boarding with us, or select from our comprehensive training packages where your dog stays with us for longer periods of time. Not sure which training program is right for your dog? We offer a free evaluation at the Ranch. The successful results of our trainers and our programs can be measured by the many letters of appreciation and referrals we receive from our clients. "Today, I took my dogs out to potty and I experienced a blissful calm and immediate responsiveness from them that was unprecedented and as close to actual Utopia as I can imagine. I was allowed to feel nothing but love for them and do away with the frustration that used to join us on our treks outdoors. Want an incredible blessing. Best feeling EVER! Canyon View, you are so worth it." "I can't believe the great dog that Charlie has become. He's no longer afraid of the world and changed into a delightful pet that we will love and enjoy even more." "What dogs learn at Canyon View they take into every aspect of their daily lives." "We were really skeptical as to whether it was even possible to train an older dog like Missy, but a three-week stay at Canyon View worked wonders." "Other trainers told me that my rescue dog might never overcome his aggression. With the help and expertise of Canyon View, my dog is now a well-behaved and loving member of my family." "We brought Bodhi to Canyon View because he was starting to get out of hand, and with our newborn, we desperately needed to gain control. Thank you so much for your dedication to Bodhi. He is a different dog because of you and we are so happy with the results."" "My dog is now more personable and an accepted member of the family at family gatherings rather than the "condemned beast" he used to be before Canyon View Ranch."" "After just a few days under your care, we saw encouraging progress in Carly's manners, but after the full 28 days she spent at Canyon View under your supervision, she's like a different dog. Now, Carly is calm and responsive, whereas before you worked with her, she was uncontrollable and had no attention span." "Although the professionalism and dependability of Canyon View's trainers initially impressed us, it was their patience and obvious love of animals that won our trust." 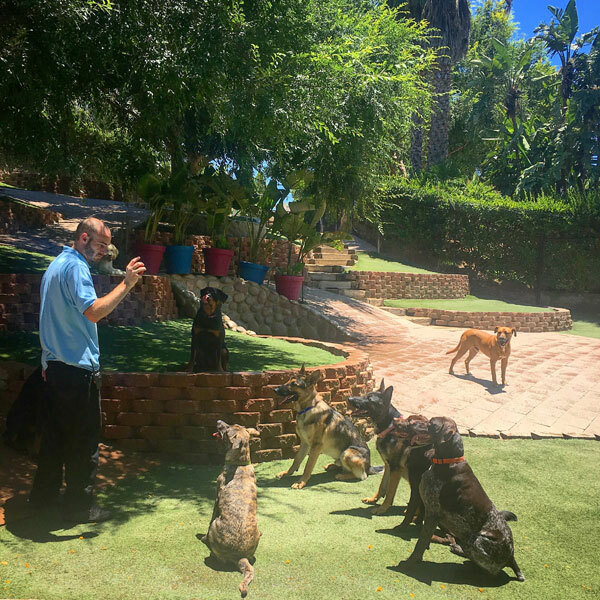 "Not only am I a satisfied customer having used Canyon View for my own dogs, but more importantly have referred many new "parents" who have success story after success story"
"When I left my dog for a four-week training session, it was as if I was leaving my dog with family and friends. Our experience at Canyon View was a complete success."" "Thank you, thank you, thank you! Olivia is a different, manageable, lovely dog now!!"